SUSAN ELIA MACNEAL: So sorry — the scheduled piece on John Oliver and Noel MacNeal had to come down — producers and lawyers and corporate sign-offs, oh my! 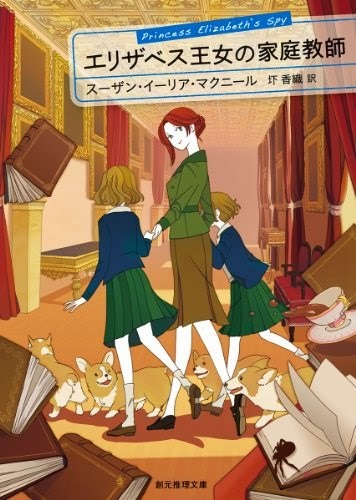 So, here's a last-minute fun post — Japanese covers of the Maggie Hope books, illustrations by Yuko Shiraishi. I really, really, really love them — hope you do, too! Different from the U.S. World English version, right? 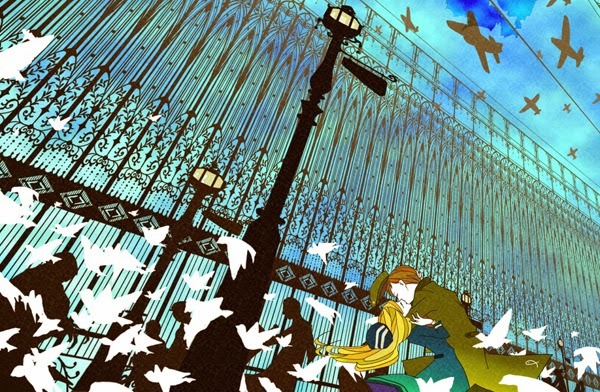 Here's another work from Yuko Shiraishi — do you think it may have been inspired by the books? I hope so! Oh, these are gorgeous. Wow. It such a different take on your world--and what a treat to see! Sorry about Noel's post, what a shame. But I'm glad I had a chance to see the video before it vanished, and to hear the story. Interesting how you see that stylized face in Japanese anime--beautiful covers! I'll do another post on Noel and his insane career soon! Love how the Japanese covers incorporate the animals mentioned in the books. I can't wait to see what they'll do with The Prime Minister's Secret Agent (when Maggie gets a cat of her own) and also The First Lady's Confidante — Fala! They are lovely, Susan. 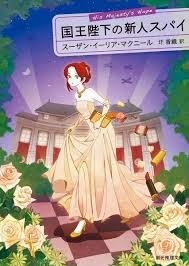 My Japanese covers make Molly look like a crazy woman. And the last pic (the non-Maggie one) is quite breathtaking. Thanks, you guys. The "Cinderella" one threw me a bit t first, too. Then I remembered I had all kinds of Grimm Brothers/German fairy tale illusions in HIS MAJESTY'S HOPE and it made sense. It's so funny how he takes the standard anime sensibility and yet makes it fit with the reality of the Maggie books. Lovely covers. Just in from work and surprised to discover that your post had changed. I'm so glad I had an opportunity to see your first one before you switched to the book covers . . . .
And these Japanese book covers are awesome! 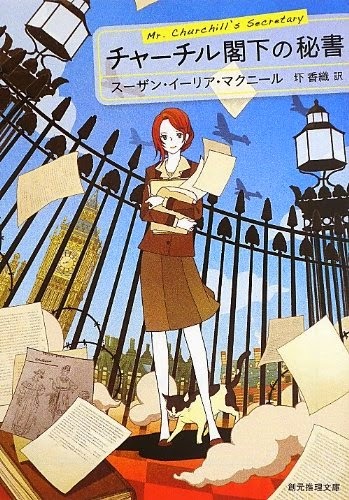 The contrast of the Japanese versions of your covers is fascinating, not the anime, but considering our shared history. I'm glad I got the chance to read the post, too! I read Noel's post last night before I went to bed, and it was so interesting. It is a shame it had to be taken down. The covers are fantastic, Susan. And in other news, I turned another year older today and still feel like a young girl inside. Life is great when you don't look in the mirror. Hahaha!